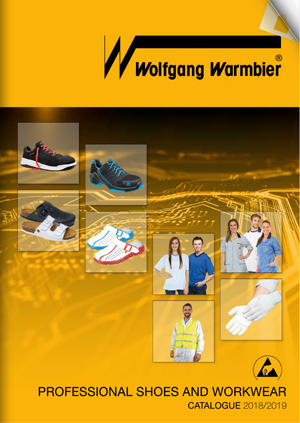 Here you will find all our ESD products of our main catalogue 2018/2019 and our new catalogue „Professional Shoes and Workwear“ 2017/2018. 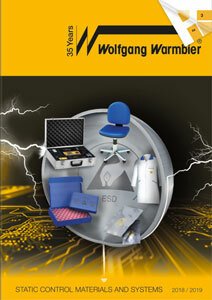 Choose the products you want and send us your request online. You will be promptly contacted afterwards by a Warmbier sales person or a foreign Warmbier distributor. Diese Website benutzt Cookies. Wenn Sie weiterhin auf unserer Webseite bleiben, gehen wir davon aus, dass Sie der Verwendung von Cookies zustimmen.